Holiday Vibes Prize Pack Giveaway | YAYOMG! 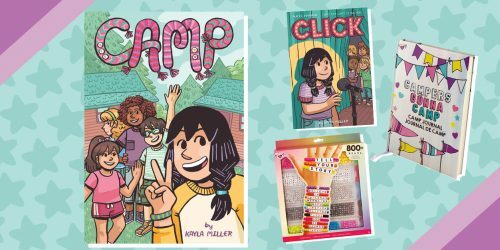 NOTE: The items in our Holiday Vibes Prize Pack Giveaway were provided by Fashion Angels, Spin Master, Moose Toys, WowWee, Redwood Ventures, and DC Comics. No money was exchanged, and all opinions are our own. We reached out to these brands for the giveaway because they create products we love. The Holiday Vibes Prize Pack is brimming with amazing stuff! 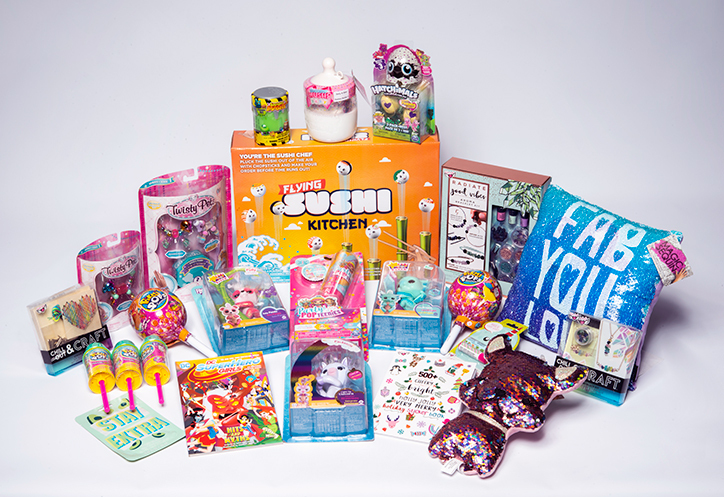 Have a family game night playing Flying Sushi Kitchen, find your zen with an aromatherapy bracelet kit, and decorate your holiday cards with over 500 seasonal stickers! 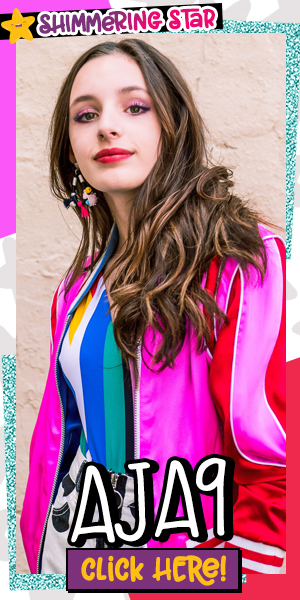 Plus so, SO much more!Take a peek through the gallery for an up-close look at the prizes and then scroll down to enter! To enter to win the other Holly Jolly Giveaway prizes, click here! Looking to make your room a little more magical? Brightly colored sequins change designs with just a swipe of your hand with this Magic Sequin Reveal Pillow by Fashion Angels. 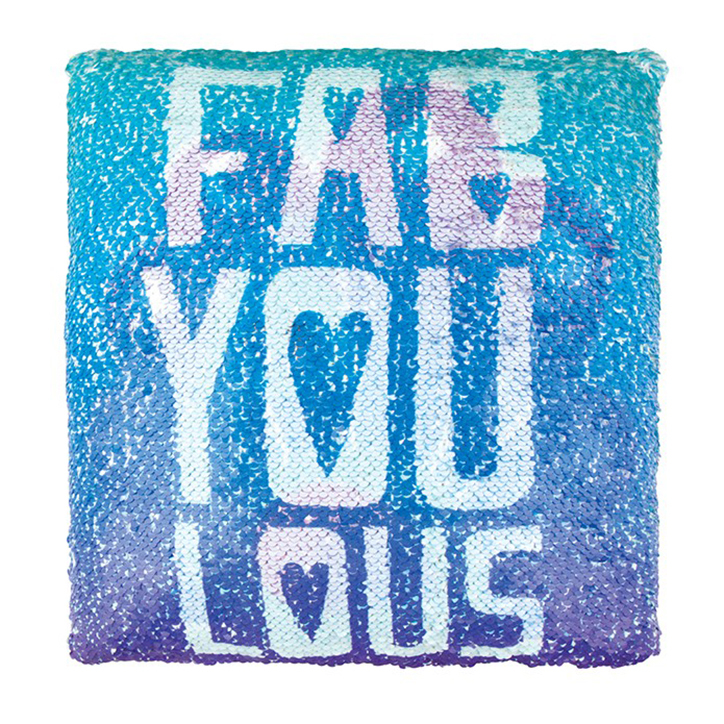 This pillow changes pattern from a peacock when the sequins are flipped up, and when the sequins are flipped down, it carries the message: FAB YOU LOUS. The back is a soft purple plush. This pillow will add the perfect finishing touch to any room and is so fun to change the look any time you want. These sequins are satisfying and so addicting! 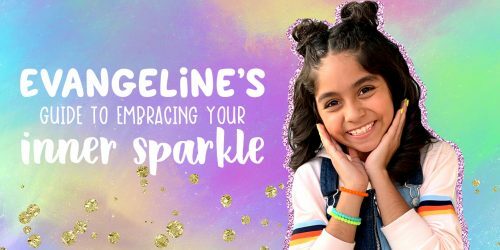 From dazzling room decor to fabulous stationery and accessories, your style will definitely be a showstopper with the Magic Sequin Collection! Ready to enter? Ask your parent for help and scroll down below! Total retail value of prize is approximately $227.77. All prizes generously provided by the brands listed above.